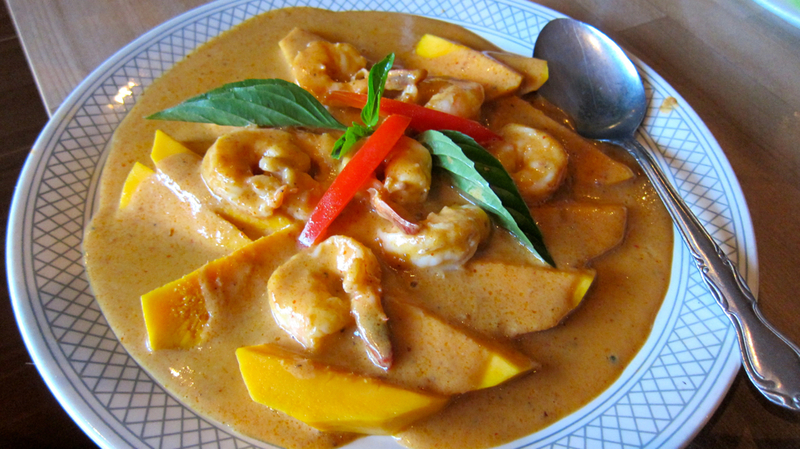 Mango & Shrimp Panang Curry from Muang Thai. Chances are you live a stone's throw away from a Thai restaurant in your neighborhood, and you've got a go-to local favorite for pad thai like Chai Thai Noodles when you're not in the mood to cook. Or maybe it's Old Weang Ping Village, the 30-year-old East Oakland restaurant that recently changed ownership, the more upscale Soi 4 Bangkok Eatery in Rockridge, or Berkeley's Wat Mongkolratanaram for their street vendor-style outdoor brunch on Sundays (I'm partial to their roti mataba, a thin, fried flatbread filled with curried vegetables and served with cucumber and peanut dipping sauces.) 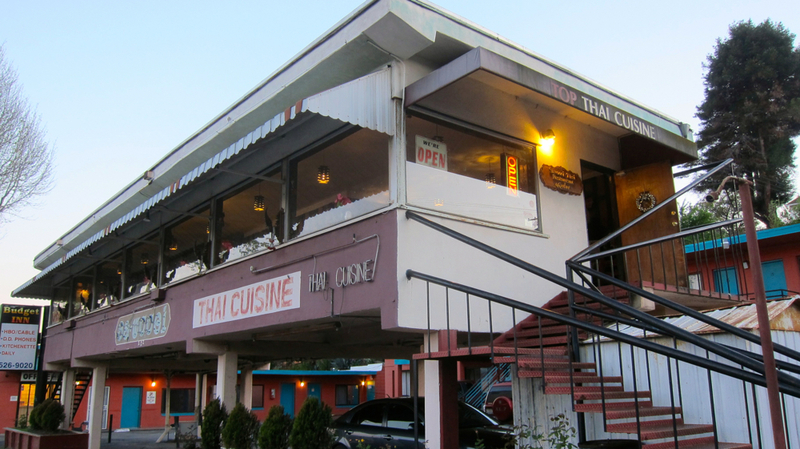 Lately, however, I often find myself traveling north of Berkeley, where there's quite a few wonderful Thai eateries clustered in the Albany, El Cerrito and Richmond locales. 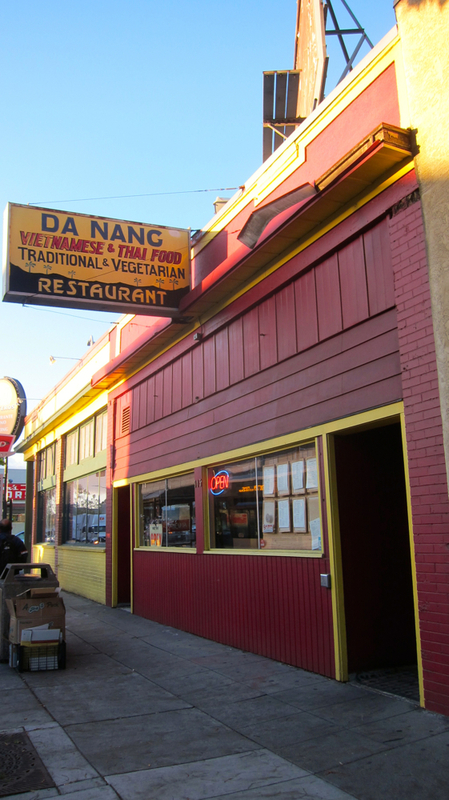 Like East Oakland, you'll find a solid offering of Vietnamese, Lao and Thai cuisine from its Southeast Asian community. 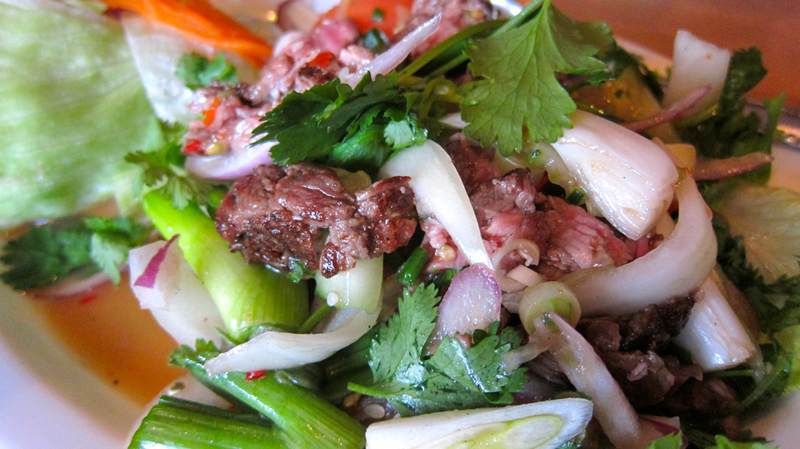 Let us know your favorites in the comments, and check out this related post on East Bay Laotian eateries. 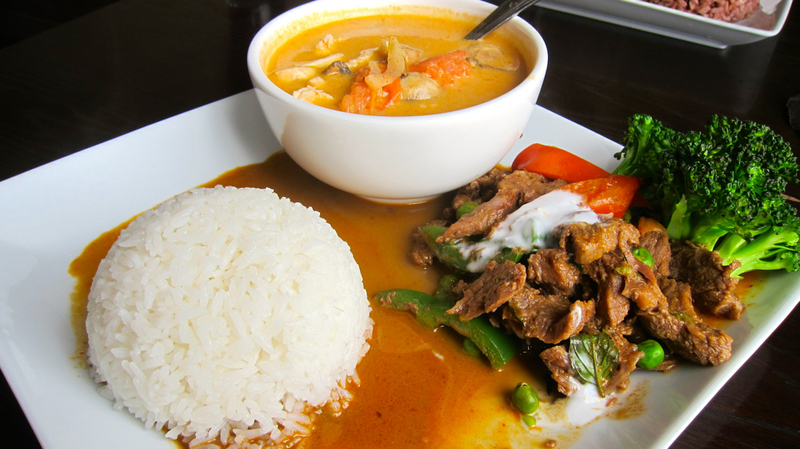 Don't let Sawooei Thai Cuisine's humble exterior deter you from climbing upstairs into their modest dining room; they serve splendid homestyle Thai cooking that belies their unpretentious trappings. 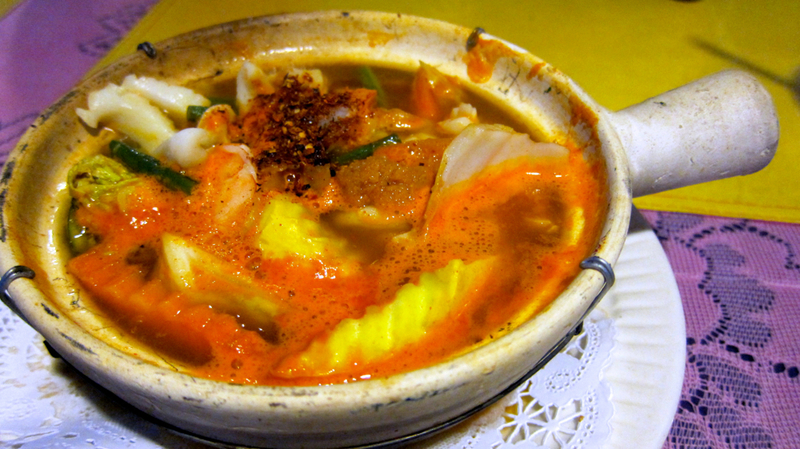 Their take on the popular soup tom yung goong, which translates to "hot-and-sour shrimp," is a spicy broth filled with prawns, cabbage and squid. 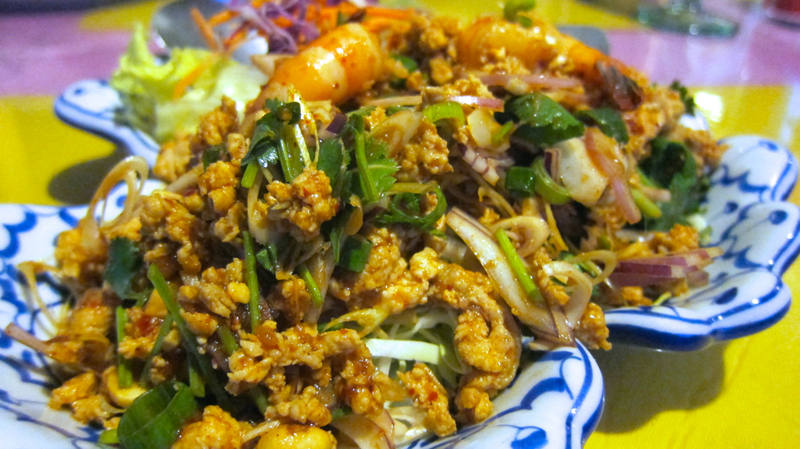 A piquant lemongrass salad appetizer is a first-rate melange of ground chicken, prawns, peanuts, fresh lemongrass and lime juice. The refreshingly tart and not overly sweet vegetarian version of gang keow wan is bursting with crunchy bamboo shoots, broccoli, other vegetables and fried tofu. 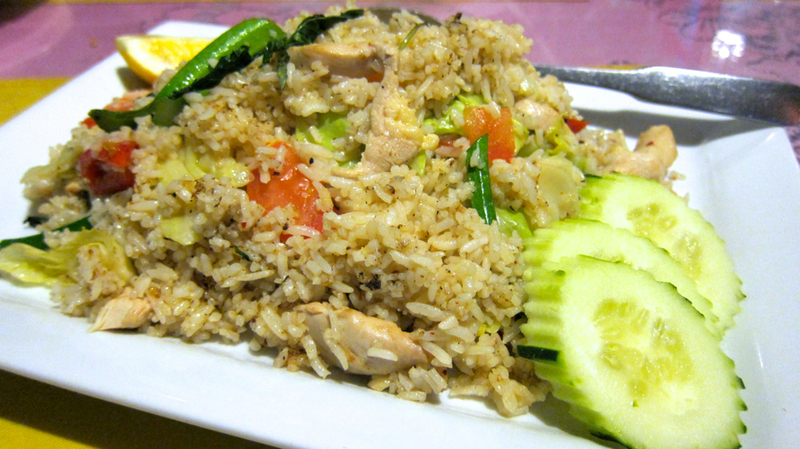 Spicy Thai chicken fried rice, overflowing with vegetables including broccoli rabe and bok choy, is a great side dish to go with your meal. Be sure to check the board for their daily specials, too. 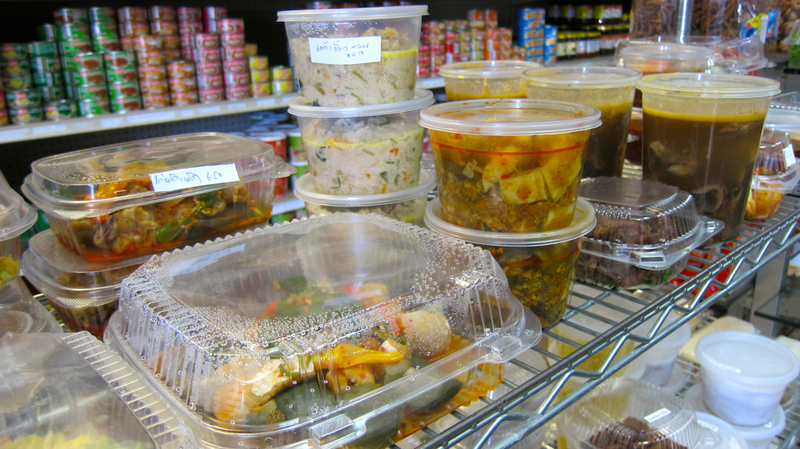 If you're looking for any number of Thai housewares, foodstuffs, cosmetics, music, movies and more, chances are Roong Jing Jing's got it stocked on its shelves. 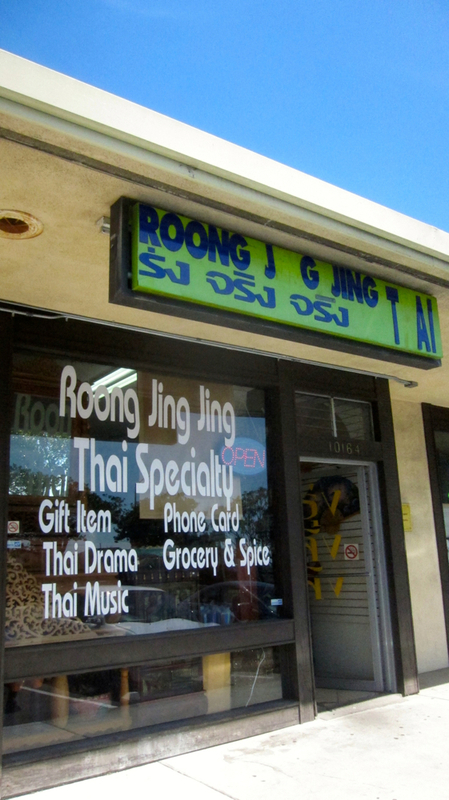 Now located within the Peppermint Tree Plaza on San Pablo Avenue (they were previously located in the Ranch 99 store in Richmond's Pacific East Mall), Roong Jing Jing is a short walk from the El Cerrito BART station. 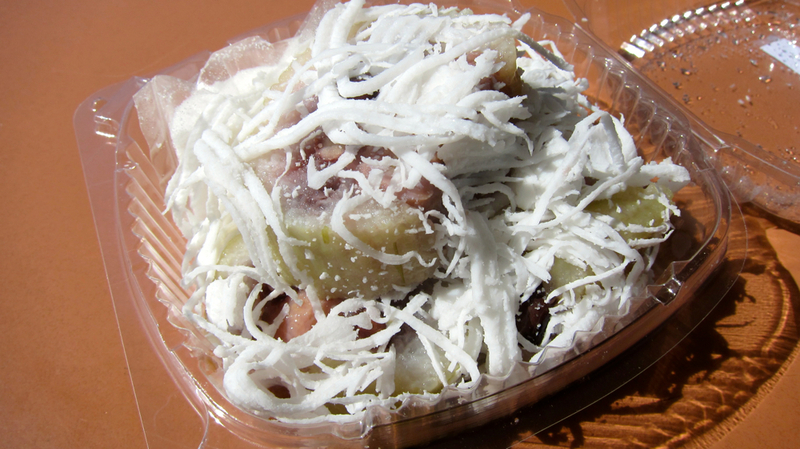 On weekends, they sell a variety of flavorful pre-packaged curries, salads, rice dishes and desserts made by local cooks. 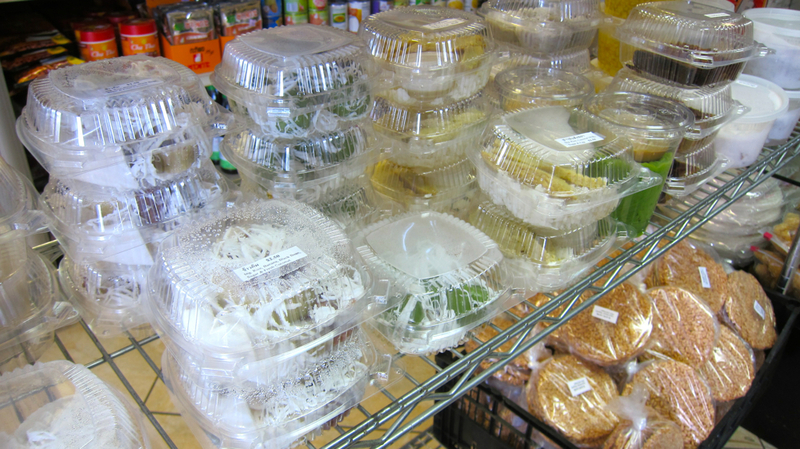 Most are labeled in Thai, so feel free to ask for a description if you have any questions about what's inside the plastic containers. 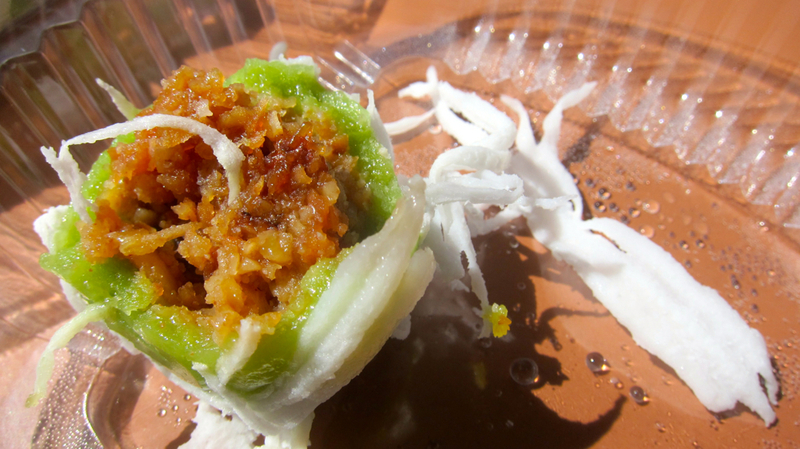 Spicy squid stuffed with fish roe and garnished with chilies, scallions and cilantro are an enjoyable seafood snack, but the desserts I sampled with freshly grated coconut were truly delightful. 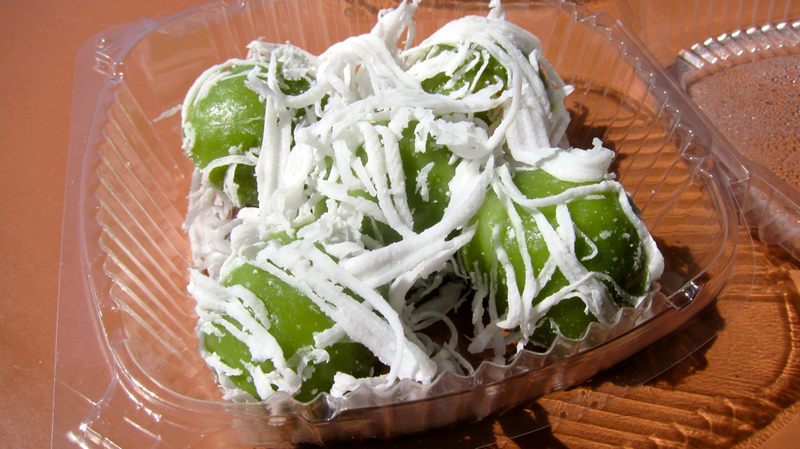 Try the rice balls with a crunchy, sweet center of nuts and dates, sweet bananas that you sprinkle with a coating of sugar or the coconut-banana pudding. 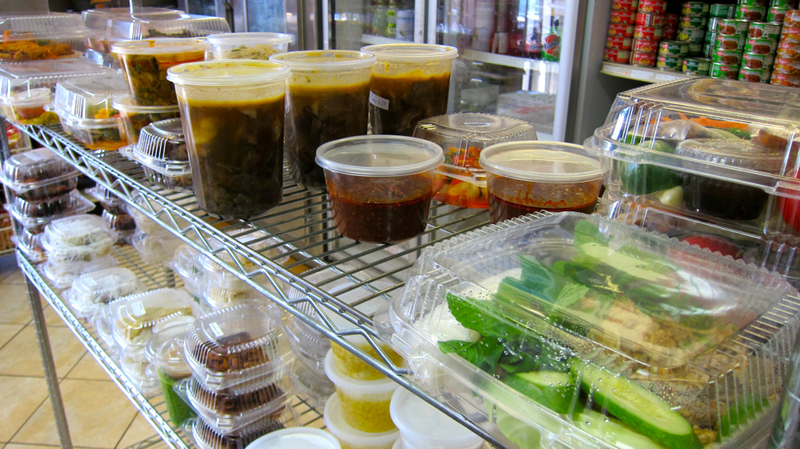 And if you're still hungry, pick up a banh mi from the neighboring Vietnamese shop Banh Mi Ba Le. 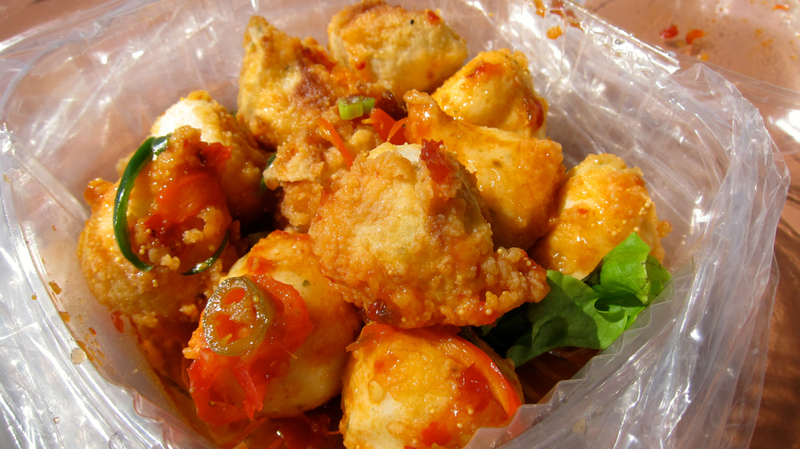 Solano Avenue has an abundance of excellent restaurants with at least six Thai establishments in the vicinity. 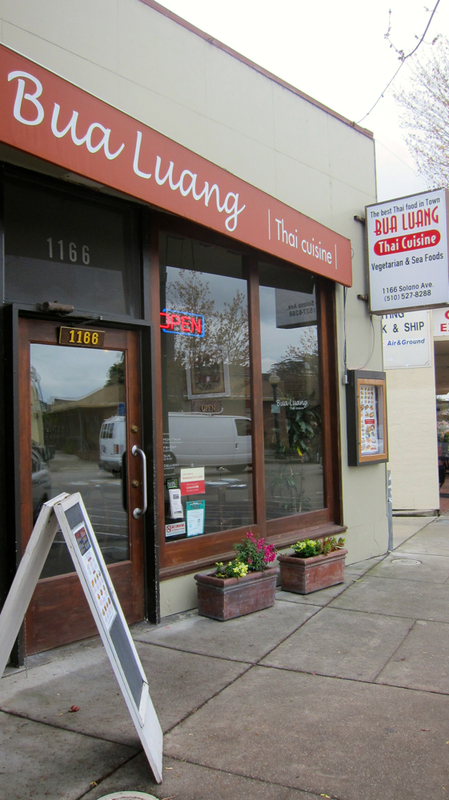 Bua Luang Thai, just a few blocks away from San Pablo Avenue, is one of the standouts. 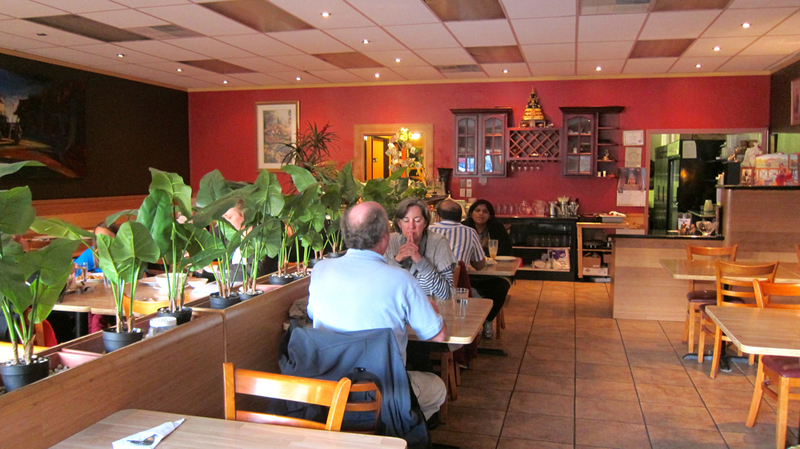 Styled with a mix of modern decor and Thai antiques, you can relax in their cozy dining room or order online for delivery. 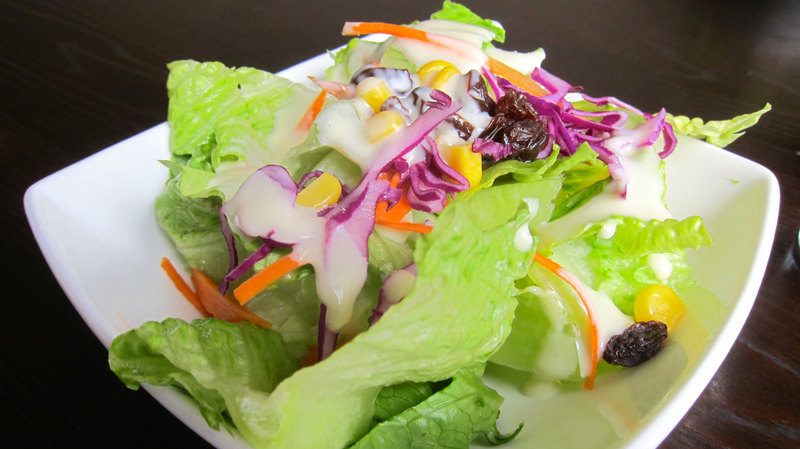 Pop in for their lunch special between the hours of 11:30am and 3pm; you'll get a small green salad, appetizer, entree and rice for an affordable fixed price. 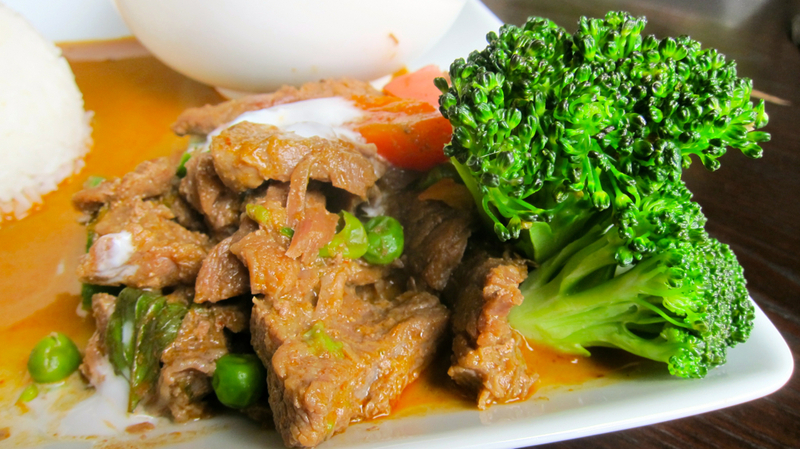 I'm a fan of their rich, coconut milk panang curry with kaffir lime leaves, ground peanuts, green peas, tomatoes, red bell peppers, sweet basil, a dollop of coconut cream and a side of broccoli; you can choose to add chicken, beef or pork. The popular soup tom kha kai, which translates to "chicken galangal soup," is a spicy coconut milk broth filled with tender slices of chicken, mushrooms, lemongrass and the gingery galangal root. 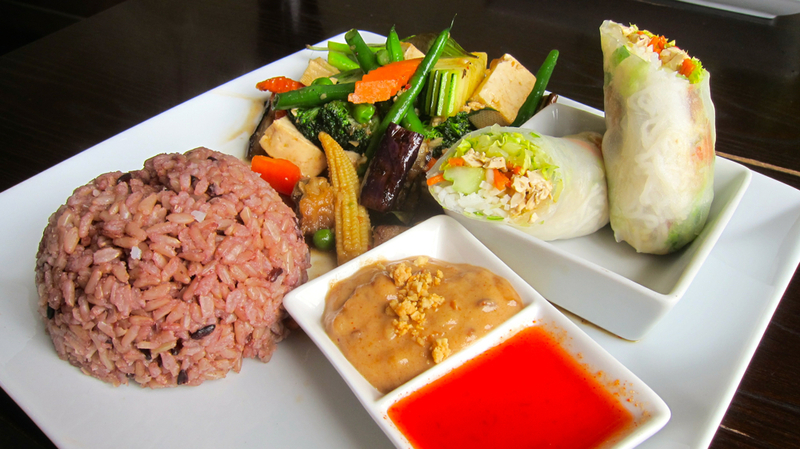 Grilled eggplant and tofu is sautéed in a black bean sauce with a colorful array of vegetables. Fresh spring rolls are stuffed with tofu, shiitake mushrooms, rice noodles and vegetables and served with sweet-and-sour and peanut dipping sauces. 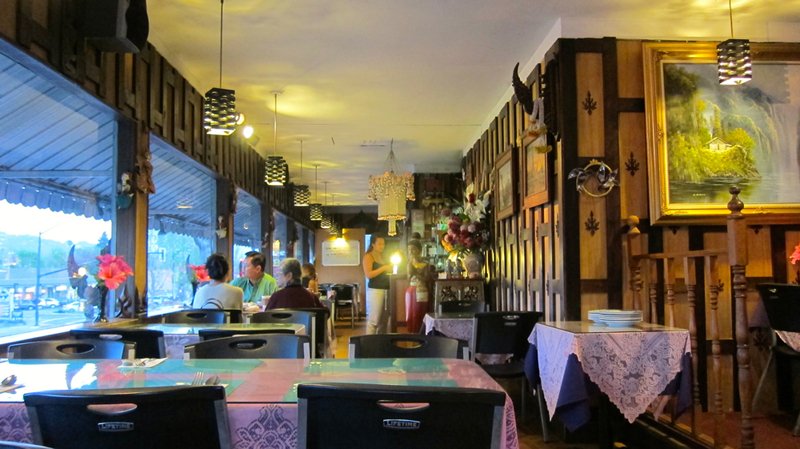 Muang Thai, also known under its previous incarnation Krung Thep and Da Nang, due to an old sign from a former tenant that still hangs above the entrance, is just down the street from Bua Luang. It can get pretty busy in the evenings, so while service may be a little spotty, the food flies out from the kitchen without delay. 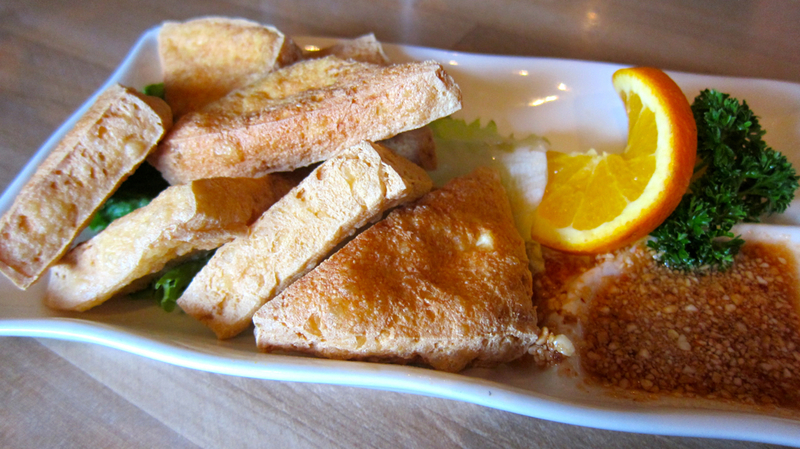 Crispy tofu with sweet-and-sour sauce and yum muer, a grilled sirloin salad with red onions, chilies and fresh herbs are great starters (although I could do without the heap of iceberg lettuce and mealy tomatoes). 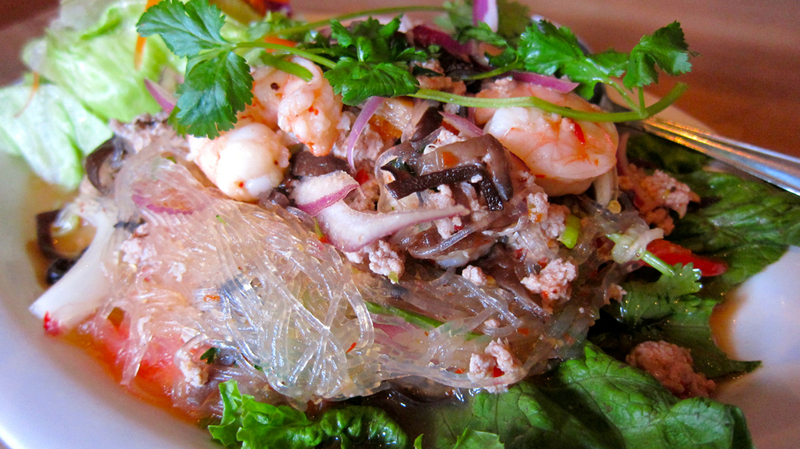 Yum woon sen is a deliciously tangy salad tossed with warm glass noodles, minced pork, shrimp, wood ear mushrooms, red onions, chilies and a pungent lemon dressing; order it at least medium spicy to get the full punch of flavor. 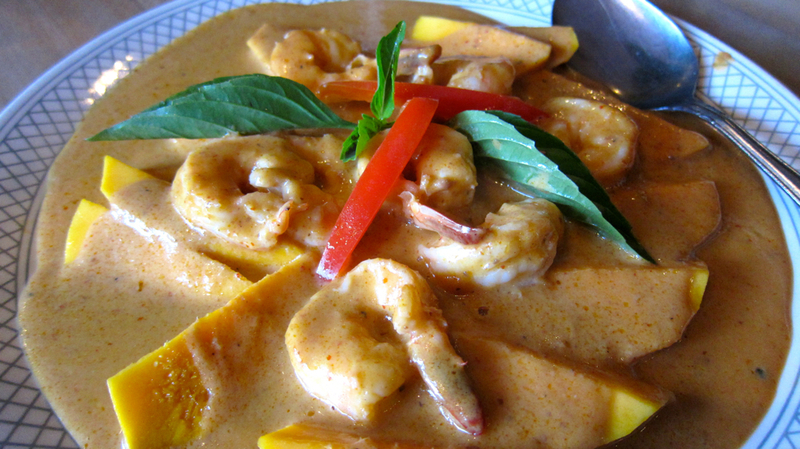 Check the board by the door for the daily specials; one recent offering was a simple plate of sweet mango slices and shrimp in a thick homemade panang curry. 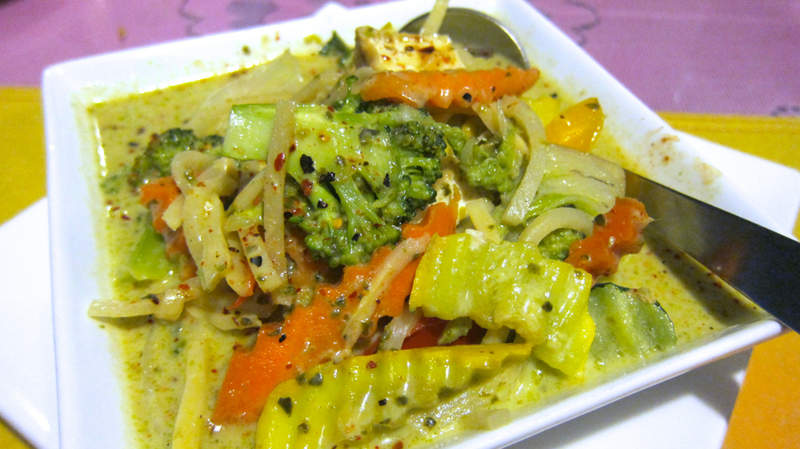 And their version of pra ram is a huge helping of steamed spinach, broccoli, carrots and spinach smothered with peanut sauce. While the sister spot of Ran Kanom Thai Noodle has shuttered its doors in San Pablo, the original location at the Pacific East Mall in Richmond is still open. 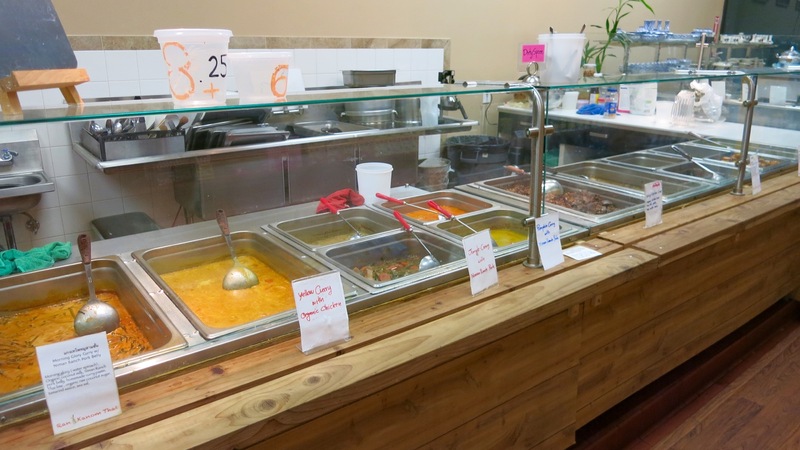 It's a specialty grocery store that sells Thai foodstuffs, snacks, desserts and mostly organic takeout entrees of noodle dishes and hot curries. 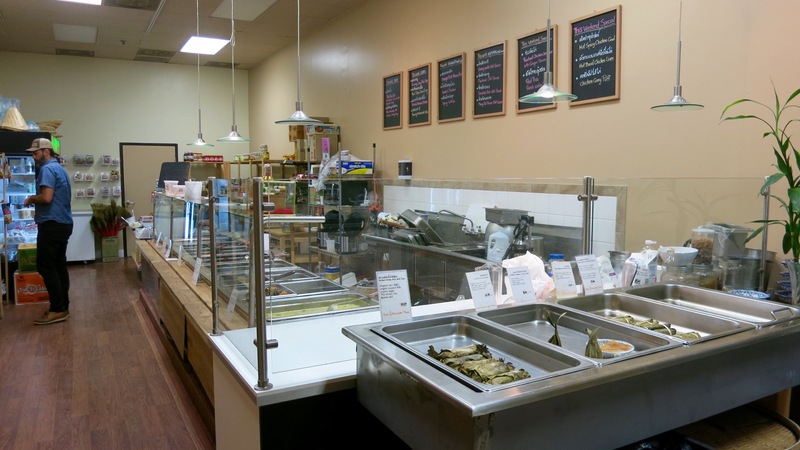 Be sure to get there earlier in the day while the items in the steam table are still fresh; there's also some prepackaged meals in their freezer. This post was updated on September 22, 2015. 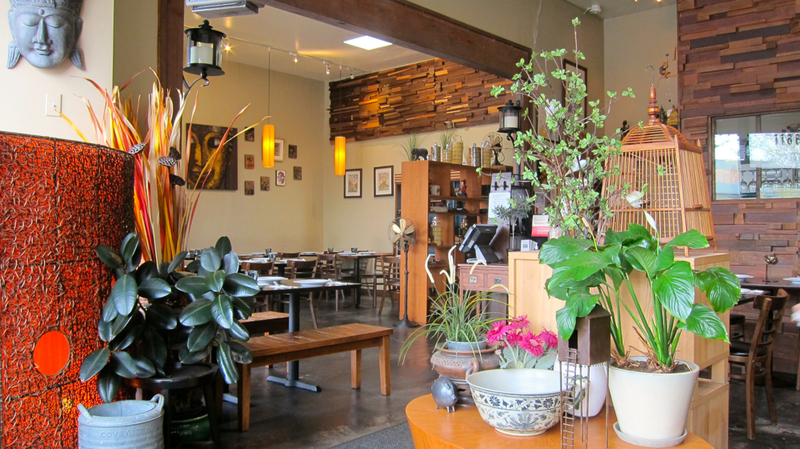 The previous location of Ran Kanom Thai Noodle in San Pablo that was listed before is now closed.